Susan Herrick teaches Advanced Legal Research: Health Law and LAWRII: Research. She is active in various professional organizations including the American Association of Law Libraries (AALL), the Law Library Association of Maryland (LLAM), and the Law Librarian's Society of D.C. (LLSDC). She has served as editor of the Marshall Law Library's Library News as well as of the LLAM News, and served on an AALL committee developing an electronic Legal Research Instruction Sourcebook. She has co-authored a CALI Lesson on Maryland primary legal resources and is currently working n a lesson on medical research for attorneys. Susan received her J.D., with honor, from University of Maryland School of Law in 1984; her M.S.L.S. from Case-Western Reserve University in 1976; and her B.A. in Sociology and English from the College of Wooster in 1973. In addition to practicing law, she also worked as a medical librarian and a law firm librarian before joining the staff of the Thurgood Marshall Law Library in 1991. She has also worked for Lexis-Nexis as an editor in the case law enhancements and annotated codes project. 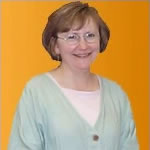 Susan has taught introductory and advanced legal research courses, developed instructional materials, and coordinated the research instruction program. She has served as library liaison to The Business Lawyer and the Journal of Health Care Law & Policy; coordinated research workshops for law students entering summer employment; and given presentations on legislative and administrative research and on legal research instruction at local and national library association meetings.